Finland will have to recruit hundreds of new teachers due to the increase in the number of asylum seekers, the Trade Union of Education (OAJ) estimates. “The number of unaccompanied minors who have arrived in Finland this year is 2,000. A child is entitled to basic education immediately. Hundreds of new teachers are needed,” states Heljä Misukka, an education director at OAJ. Die Welt reported on Sunday that Germany will recruit more than 8,000 teachers to cope with the 196,000 asylum seekers who have entered the national school system since the beginning of the year. Germany has predicted that a total of one million asylum seekers will have arrived in the country by year-end. 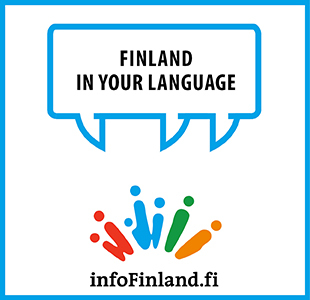 In Finland, more teachers are needed to teach, for example, preparatory classes for immigrants, integrated classes for special-needs learners and classes for learners studying Finnish as a second language. No special qualification requirements are in place for teachers teaching the preparatory classes. Recruitment is unlikely to prove a problem for municipalities also due to the introduction of larger class sizes and the lay-offs of teachers, Misukka points out. Data released by the National Board of Education indicate that approximately 50 preparatory classes for immigrants have been launched in Finland in the course of the autumn. Such classes typically consist of one teacher and, if necessary, one or more learning assistants. Leena Nissilä, an education counsellor at the National Board of Education, says municipalities have only encountered few problems in recruiting new teachers. “I've heard that they've had no major problems finding teachers for these preparatory classes. Among others, the group includes teachers nearing the retirement age who have decided to postpone their retirement. Some have moved from another locality for the job,” she says. Problems have according to her arisen primarily in smaller municipalities that have struggled to fill their teacher vacancies also before.